Starting on 21st September, Cask Ale Week is a national celebration of cask ale. Many breweries and pubs participate, this update contains some activities that we’ve recently been told about. You can also visit caskaleweek.co.uk for all the latest information on Cask Ale Week. Bingley brewery are launching a new bar which coincides with Cask Ale Week. The launch event will include guest beers from 3 other Yorkshire Breweries. Food will be provided from the local Peacock Bar in Bradford to create a mini beer festival style opening. Enjoy a Butcombe Trio tasting paddle, try out a new cask beer and understand more about flavour profiles. They will be available during the Week for £3.50. 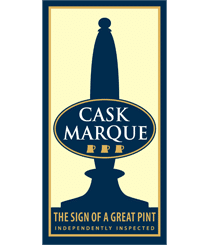 Cask Ale Week is heading overseas to France! Elephant and Castle in Vieux Lyon will be hosting a range of activity during the Week. They will be hosting a pub quiz, ale and cheese tasting evening, main of the day matching and a sample tray of cask beers will be available – plenty to test your taste buds with. Fox on the Hill has arranged for several breweries to come to pub during cask ale week to operate brewers nights and showcase their beers. The brewers will be providing raffles/quizzes where customers can win some beer. The dates are as follows: Thurs 21st Sep – Southwark brewery, Tue 26th Sep – Portobello and Thurs 28th Sep – Sambrooks. JW Lees are running a buy 4 get 1 free supported by a consumer collector card for free trade accounts. There will be four different cask ales on offer to give consumers as much choice during the Week. From 11th September onwards Nicholson’s will be showcasing an array of new and limited-edition cask ales for the season. The selection is available for a limited time only so try it whilst you can. Oakham Ales are hosting a ‘Meet The Team’ night on the Thursday evening (28th) with a number of people on site. Watch their Twitter account for a number of competitions which are taking place throughout the week – plenty of prizes to be won! Punch pubs will host a selection of pub quiz nights throughout the Week. You can also try before you buy any cask ales. Ask at your nearest punch pub for details and find out what they have going on during Cask Ale Week. Taking place at the Packhorse Inn, there will be a selection of ales from the 8 Sail Brewery based in Heckington, Oldershaw’s Brewery in Grantham, Oakham Ales Brewery in Peterborough and Milestone brewery from Cromwell. Join St Peter’s Brewery for a beer and food matching evening. The evening will commence with an informative brewery tour followed by supper in the great hall. This will include a duo of starters, mains and desserts, with each dish being accompanied by a cask beer to compliment the meal.